Volkswagen Beetle is going to be launched in India in December 2009.Beetle well known as ‘bug’, originally built as the people’s car.Volkswagen is adding new Beetle in there line up already showing its presence as Passat, Jetta and the Touareg in India.The New Beetle is based on the Golf platform delivering high quality performance. The Beetle is expected to hit the Indian car market with a 9-litre TDI engine and 5-speed manual transmission. 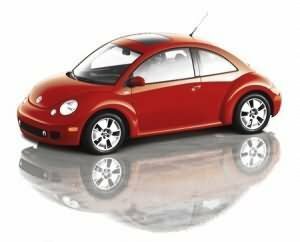 The Beetle will come with functional features like rain sensors, cruise control, rear parking sensors and advanced safety features will include ABS (anti-lock brake system), traction control, anti-skid system, and dual airbags.The estimated price of new Beetle in India is about Rs 20 lakh.